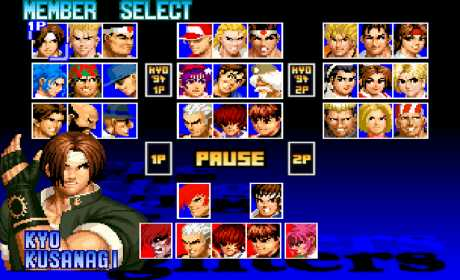 Play as SNK’s iconic fighters such as Kyo Kusanagi and Terry Bogard, and try to master the infamous “New Face Team” or the “KOF ’97 Special Team”! The NEO GEO version’s hidden characters are now available directly on the character select screen so you can easily crush your opponent using Orochi Iori or Orochi Leona! Experience for the first time in the series the “Affinity System”, and to select the members of your team according to their affinity, and enjoy their pre-match interactions! ■2 modes to improve the game’s depth! 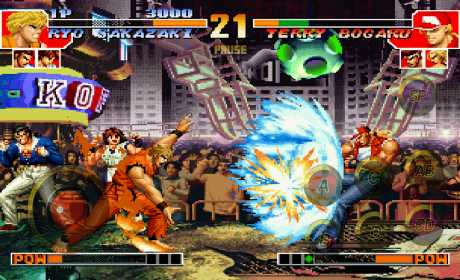 KOF ’97 uses 2 differents gameplay modes: EXTRA and ADVANCED! Master the system that fits you the best and burn your rivals down! Depending on your characters’ affinity, get extra Power gauges even after losing a round! As you are close to exhaustion, your health bar will turn red and blink, then you will be able to unleash your Desperation Moves to your heart’s content, as long as you are the last one standing! 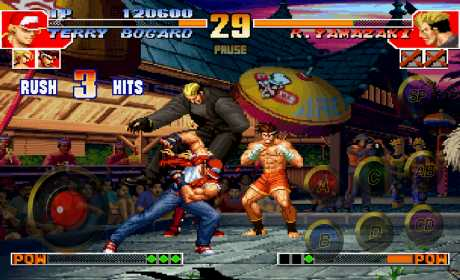 Decide who’s the real KING OF FIGHTERS by challenging your friends via Bluetooth Multiplayer!